Saimai Suek was a Rajadamnern stadium veteran before he headed off to international waters to ply his trade in Muay Thai. Internationally he beat Ronnie Green and then faced Tekin Donmez of Chakuriki gym Holland. Chakuriki is famous internationally and for good reason. Chakuriki produced the men who forged K-1 into the biggest name in kickboxing with Peter Aerts, Branko Cikatic and Badr Hari coming to prominence under the guidance of Thom Harinck. 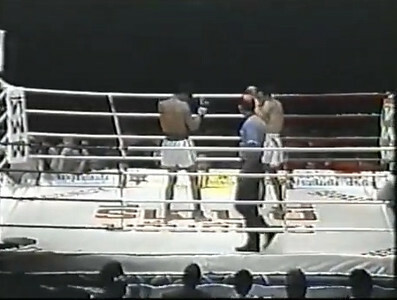 But it also produced Gilbert Ballentine and Tekin Donmez who fought Thailand’s top tier talent of that era. Thom Harinck himself remarked that Tekin was the best featherweight he had ever produced. watch what happened when Samai Suek and Tekin Donmez met in the ring at the now classic 1990 Thailand Versus Holland event. Thanks is due to youtube user Chokedee for the upload of the video. ~ by fatsoking on November 19, 2012.